2009, the second year of Noori Records existence, is actually the first "complete" year of Noori Records activities. We know that everybody loves a freebie, and with that in mind, we've setted up a free compilation album called "Noori Records 2009 sampler". Here, you'll be able to listen to some track from the four Noori Records public releases that were made during this year. Click on the cover image to listen or download the album! # NR010 - 24/11/2009 - +ko+ko+ - What Are You Gonna Do? 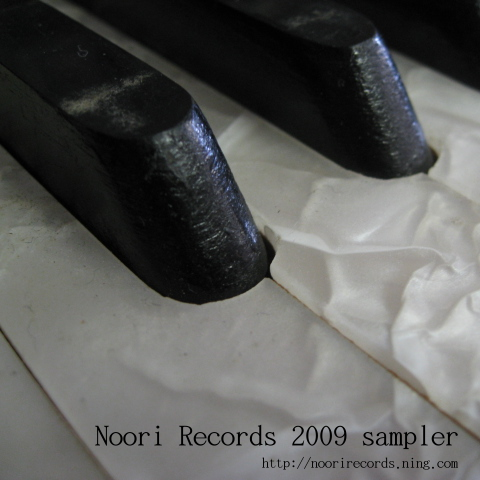 This is a free promotional compilation regarding Noori Records' public releases in 2009. Feel free to know more about each of them at http://noorirecords.ning.com . Also, here are the links for the bands' websites, send your love to them! The author of the picture used on the cover is pa1nt, and is covered by a CC-BY license.